Exclusive High End Award Winning RRV Syrah grapes 1/2 ton left! Recently available are Syrah winegrapes with clones Estrella River (traced to Chapoutier), 877 and 174 on 3309 rootstock planted in 2001. 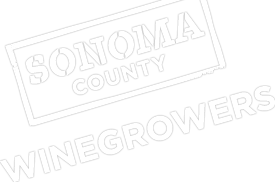 We are located in the heart of the Russian River Valley with Olivet Road and other acclaimed vineyards as our neighbors. This property is easily accessible. Samples are available along with many references and copies of our published accolades. Our latest released vintage of the 2013 vineyard designate cool weather Syrah bottle received 92 pts by RP and was named wine of the week on May 23, 2018 in the PD. We have also been selected as wine of the week with 4 1/2 stars several other times in the Press Democrat. The vines are farmed organically and meticulously. Please note: Wine made from our vineyard ages well past a decade and this fruit creates a fantastic rose! We have approximately one half ton. It may be possible to choose the brix and we encourage you to taste. We will also consider selling smaller lots with help picking if receiving fruit at a different time from other contracts.